Quite simply, Mountain Air is a truly special and unique private community that epitomizes gracious living amid unparalleled natural splendor in the glorious mountains of Western North Carolina. Here people gather to relax and escape the demands of daily life and to reinvigorate and renew their spirits. You’ll discover Mountain Air is a laid-back, unpretentious place that attracts people from around the country seeking a peaceful mountain retreat. The camaraderie and welcoming spirit create a sense of community that’s very different from many private communities and clubs. This is where families and friends come together to enjoy a myriad of amenities and activities, but also to experience peace and tranquility. And there’s no better setting than atop a mountain at over 4,000 feet where the air is clean and crisp, the views are endless, and the possibilities are limitless. But words and pictures can only tell part of the story, so please come soon for a visit. Here at Mountain Air, residents and their friends embrace gracious living amid overwhelming natural beauty, and enjoy a wealth of activities and events. Mountain Air Country Club is the center of life here, providing members and guests with unparalleled amenities, from mountaintop golf to farm-to-table dining to outdoor recreation. There’s truly no place like home, and there is a home or condominium to satisfy virtually every desire here at Mountain Air. Plus incredible views that stretch for miles and soothe the soul. Living choices abound here at Mountain Air. Homes in varying sizes and styles are beautifully situated around the mountain, while condominiums offer easy living with virtually every aspect of maintenance included. And there also are home sites for the discerning individual desiring to build that custom mountain getaway. Best of all, the homes here are thoughtfully designed and integrated into the natural setting to complement rather than compete with Mother Nature. A centerpiece of the community is Mountain Air Country Club that provides members and their guests with a diverse menu of club activities, amenities and social events that contribute to an active and joyful lifestyle. From mountaintop golf to fine dining to wellness programs, the member-owned club is the vibrant heart of Mountain Air. Plus, an endless array of year-round activities, programs and events for children and adults created and coordinated by a talented, dedicated staff. 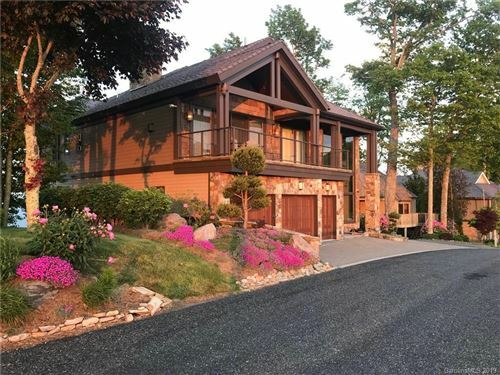 Mountain Air is a private gated community situated on over 500 acres atop Slickrock Mountain, encompassing more than 435 homes and condominiums. It is a relaxed and unpretentious place that has attracted people from around the country. A centerpiece of the community is Mountain Air Country Club that offers members an unmatched range of amenities and services. Mountain Air is ideally situated atop Slickrock Mountain in Yancey County, just 30 minutes from Asheville. The nearby town of Burnsville, less than 10 minutes from the gate, provides residents with access to shopping, dining and services in a peaceful small-town setting. What is Mountain Air Country Club? Mountain Air Country Club is a member-owned entity within the community, offering outstanding amenities and services. What is offered under club membership? Members enjoy access to all amenities, including golf, tennis, the heated pool, fitness center, outdoor recreation, the Mountain Market, and clubhouse and bar/grill providing dining. A complete calendar of activities and programs is offered, as well as special events throughout the year. What types of properties are available at Mountain Air? Mountain Air can satisfy just about every need and desire with its existing single-family homes and condominiums that range in size and price. Homesites also are available for someone interested in building a custom mountain getaway. Please enter your name and email to learn more about life at Mountain Air.